Goyal's ouster from the bidding process comes despite SBI Chairman Rajnish Kumar saying that "nobody is barred from bidding or taking over the airline" as per the rules. 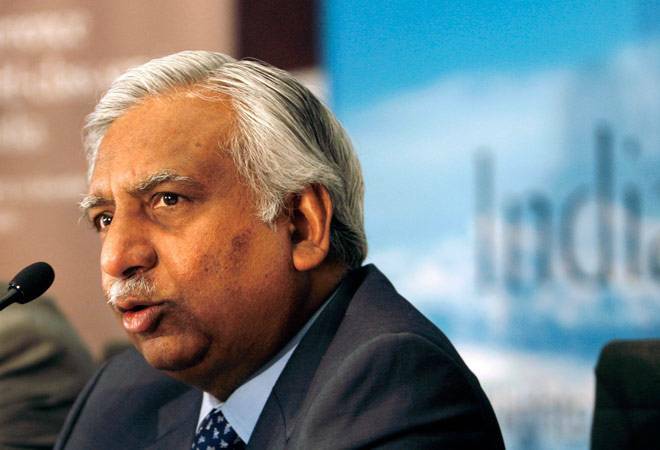 Naresh Goyal has withdrawn from bidding for Jet Airways after Etihad and TPG Capital threatened to cancel their proposals. Goyal had submitted his Expression of Interest (EoI) as part of a consortium on April 12. The initial bid submitted by Goyal's General Sales Agency (GSA), Jetair Pvt Ltd, was backed by Delaware entity, Future Trend Capital. The lenders had offered ownership between 32.1% and 75% in the airline, seeking to recover dues worth over Rs 8,400 crore. Goyal's ouster from the bidding process comes despite SBI Chairman Rajnish Kumar saying that "nobody is barred from bidding or taking over the airline" as per the rules. Several other entities also submitted expressions of interest in the stake sale, including Etihad Airways, which owns 24% of Jet Airways and is the second largest stakeholder, TPG Capital and Indigo Partners. SBI Capital Markets has the mandate for Jet Airways' sale on behalf of the SBI-led consortium of the domestic lenders to the debt-ridden private carrier. Last month, Goyal and his wife Anita Goyal stepped down from the board of the airline, which has more than Rs 8,000-crore debt. The fate of Jet Airways continues to hang in balance with the SBI-led consortium of lenders unable to reach a consensus on releasing emergency interim funds to the beleaguered airline in Monday's marathon meeting. Jet Airways' pilots on Monday appealed to the State Bank of India (SBI) to release Rs 1,500 crore for the airline. The National Aviator's Guild (NAG), Jet's pilot's body, also asked Prime Minister Narendra Modi to help save 20,000 jobs. The airline's pilots, engineers and cabin crew assembled at the airline's headquarters to show solidarity towards saving Jet. On March 25, Jet Airways' board had approved a debt-swap revival plan, under which the lenders were supposed to release an emergency loan of Rs 1,500 crore and, in turn, acquire a majority stake in the airline. But, thus far, they have only disbursed less than Rs 300 crore - and that in small amounts - citing procedural delays.